Do you feel restricted on water usage when dry camping in your Recreational Vehicle (RV)? Feel the freedom from traditional restrictions. Pick up your copy of Go Green - Extend Your Stay with Tank Saver™ and learn how grey water recycling can extend your dry camp days by nearly 100% (depending on your tank sizes). Yes, it’s true. Grey water recycling is the next big wave in facilitating your RV. Enjoy longer showers on those short trips or nearly doubling your days between finding a dump station and fresh water fill-up on the longer ones. In Go Green – Extend Your Stay with Tank Saver™ you will learn how to safely setup a grey water recycling system in your RV for a modest cost with minimal installation time. This full color book has all the diagrams, parts lists, illustrations, tables, and calculations for you to be successful at grey water recycling. 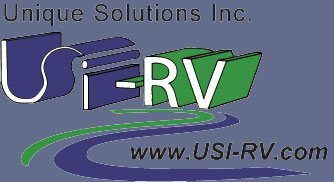 The USI-RV system is field proven, safe, and easy to use - simply turn it on and you're set. Take advantage of a field proven and engineered solution; pick up your copy of Go Green - Extend Your Stay with Tank Saver™ today.